This stunning Turquoise blue card has a dainty embossed ethnic teardrop design decorating the cardholder flap and has a graceful die-cut arch on the flap bordered by a gold foil imprint. 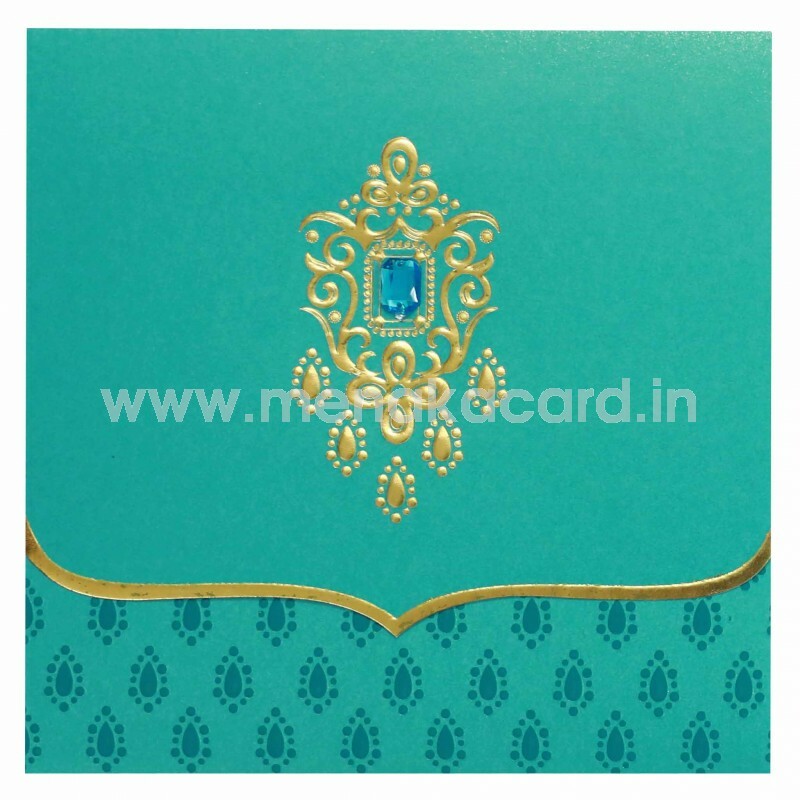 The main flap has a beautiful bejewelled filigree motif also embossed in gold foil. 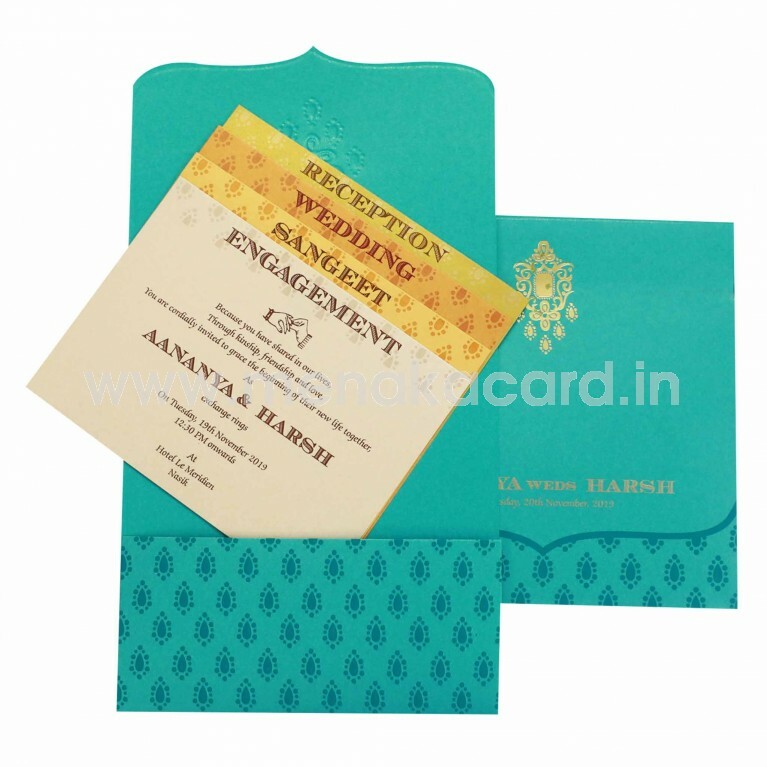 The cardholder has a default of two inserts arranged in a step model for the various events required. The inserts can be printed on inserts in any one of the colours Cream, Yellow, Orange and mehendi green and contrasting text likewise. 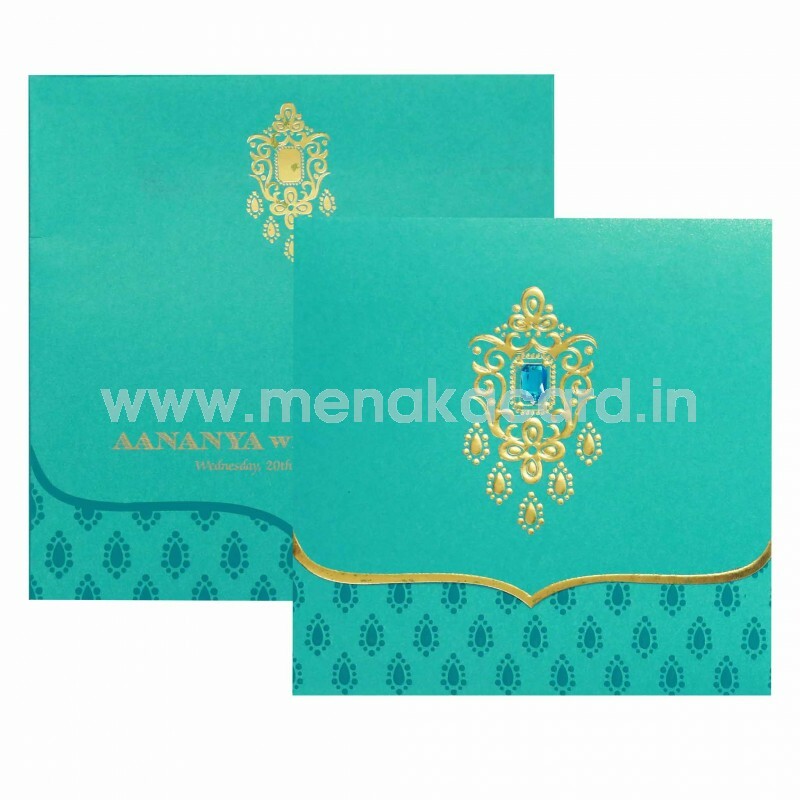 The envelope mirrors the design on the card front in colour and text. This can be used for Hindu, Christian and Muslim weddings as well as other functions such as engagements, receptions, Grahapravesam, Sashtiapthapoorthy, sadabishekam, upanayanam etc.